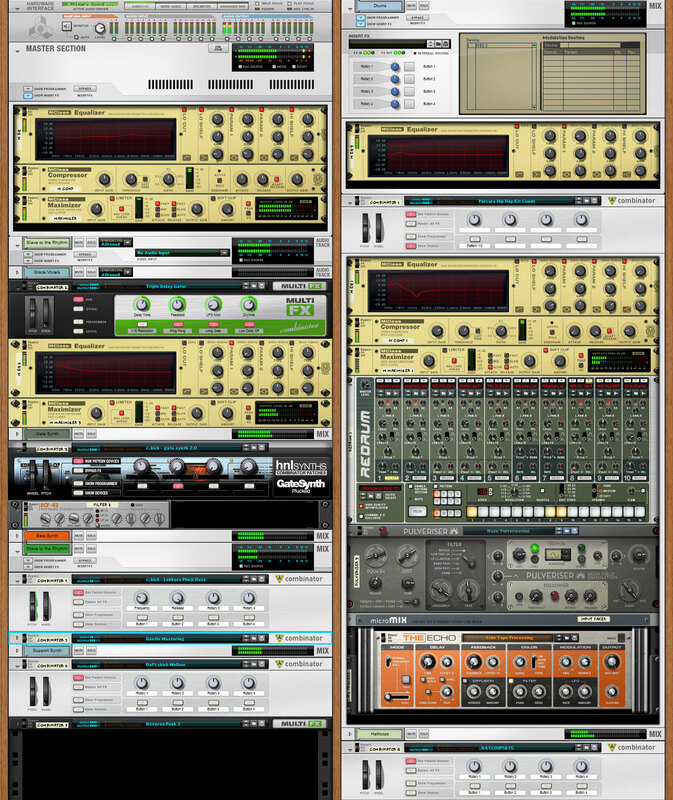 Since upgrading to the magic, wonderful and fantastic Reason 6 the already awesome arsenal of music tools at my disposal has been topped off with the ability to sample (for which I have waited ever since moving from Impulse Tracker to Reason). This has finally brought back an old friend of me: remixing. This time, I decided to pay homage to an incredible artist: miss Grace Jones. While walking in my hometown on an unscheduled journey through the cold, I flicked trough my entire iPod library and stumbled across an old, but never forgotten, classic; “Slave to the rhythm”. The pure excellence of the track could not be matched, but I thought I could at least try to give the track a facelift remix to accompany it in the 21st century, by throwing it in with a set of synthesizers I had been working on a while. After fiddling with it for hours, I could not get it right. Until I dropped a drumcomputer into the rack : my ‘Jeff Porcaro Kit’. A set I had I recently constructed, inspired by Porcaro’s legendary drumming. Basically, the drum arrangement you hear is the very same set up as Jeff’s performance on Bozz Scaggs’ track ‘Lowdown’. I must have listened to that track a thousand times, trying to get the shuffle, the hats, snare, kick and – more importantly – the timing just right. It proved to be a good combination (in my opinion) and I very much like how it turned out. Frankly; I think this is my best (musical) work to date.